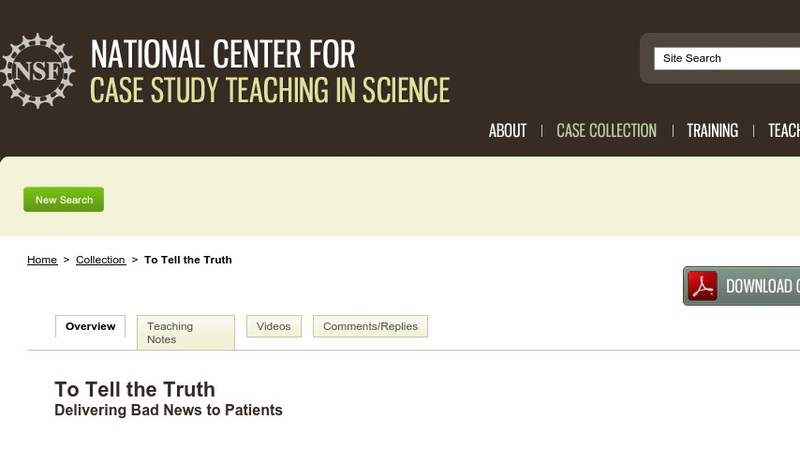 This case was developed to teach first-year medical students about medical ethics as they apply to patient communication. Students receive an introductory lecture covering the basics of giving bad news and then are asked to apply what they have learned to a real-life medical situation they read about. The case describes a man who, recently retired, is looking forward to a cruise trip with his wife, but he hasn’t been feeling well. Medical tests show he has colon cancer. Assuming the role of the physician, students must decide when and how to break the bad news. To prepare for their role, students learn the six-step protocol for breaking bad news developed by medical oncologist Dr. Robert Buckman, which they then apply to the case.